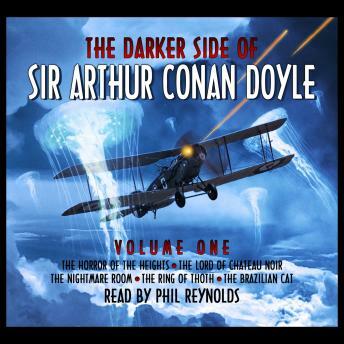 Most famous for his tales of crime and deduction, Sir Arthur Conan Doyle also had a passion for suspense, the supernatural and the macabre as demonstrated in this collection of gothic short stories. This set contains the stories: The Horror of the Heights, The Lord of Chateau Noir, The Nightmare Room, The Ring of Thoth & The Brazilian Cat. So get ready for Doyle's vivid spine tingling imagination to unnerve and thrill you in equal measure!